Review: For those of you who’ve followed the U.S. elections and feel like you’re completely sick of the theme of change, this album should provide a welcome respite because stylistically, there is little to separate between “ebullient future” and ELISA’s work on ef – a tale of memories’s OP, “euphoric field.” And if you aren’t quite as fond of “euphoric field,” it’s probably best to skip this album altogether because it’s more of the same old ELISA on vocals with Tenmon doing the musical compositions. Mind you, there’s nothing inherently wrong with the fact that “ebullient future” is a carbon copy of “euphoric field” because if you’re going to pick a song to emulate stylistically, you might as well pick one that’s actually good. From the start, “ebullient future” is strong and assertive in its opening notes, capturing the listener’s attention, before growing softer as ELISA seems to take an introspective, almost regretful tone before slowly building up towards the energy-filled section which makes a strong return around 0:49. For a song that’s about lovers who are far apart from each other, the melody at this point is energetic and assertive, even if it’s not clear to me as to whether ELISA is lamenting or angry with the fact that she separated from her lover. Regardless of whether this song conveys the feeling of regret or anger, one cannot deny that it has a certain presence to it that other songs lack. From ELISA’s emotional performance, to the instrumental backups, “ebullient future” may be an imitation of “euphoric field,” but it’s a solid track all the same. If you’ve listened to “euphoric field” and enjoyed it, this album will certainly be worth a look if you don’t mind the fact that the titular track on this album is basically a rehash of the aforementioned “euphoric field.” “Ebullient future” doesn’t bring anything new or substantial to the table, but it is a decent track in its own right and I’ve gotten some decent mileage out of listening to it. “Pray” is a bit more on the generic side and it succeeds at being very inoffensive, almost to the point of blandness. So while I did enjoy “ebullient field” to some degree, I’d suggest getting your fix of the track simply by watching ef – a tale of melodies. There’s no point in getting this album unless you really like ELISA that much. More of the same, but the heart loves what it loves. 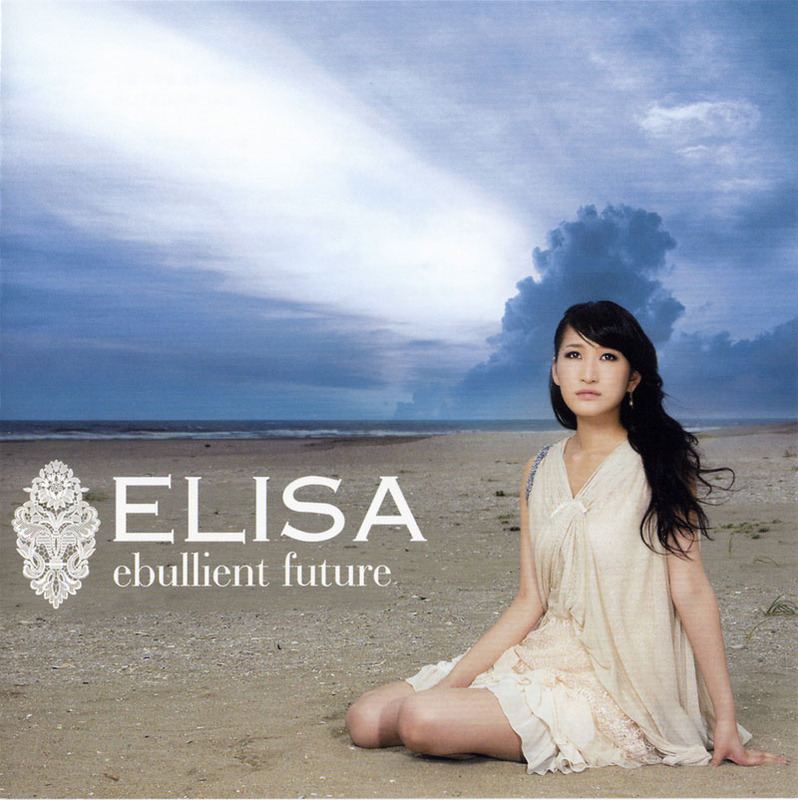 The first I heard from ELISA is actually her album. I really think her songs have brilliant instrumentals but her voice just can’t make it. It’s too generic. She does better remaining as a choir soprano than a singer. Gotta agree with that, though there are times when her voice dips below generic. Listen to Wonder Wind and maybe you’ll get a laugh out of how bad the whole performance was. It sure doesn’t boost her stock in my eyes. Yeah, it only gets into the regions of meh when she sticks to one single style without really trying to explore different genres. But bad? Well, I’d argue that Wonder Wind from Hayate2 was pretty awful. Jaw dropped in disbelief and ended up shaking my head at how blargghh that sounded.